I like the Dirty Dog mesh screens but the first one I received was defective. Quadratec took care of this very quickly so all's good now but can't give a perfect score when the first item had a defect. I choose the Dirty Dog over the similar Bestop product for 2 reasons: 1) the photos made it clear what I was getting. 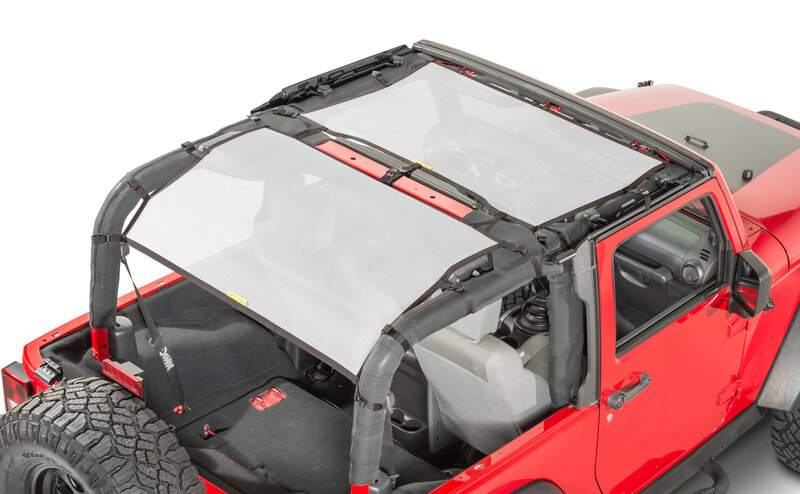 The Bestop Safari Mesh top doesn't really have a photo of it installed on a 2 door. 2) the Dirty Dog Mesh top is 2 pcs as opposed to the single piece that the Bestop is (I believe....again no good photo). 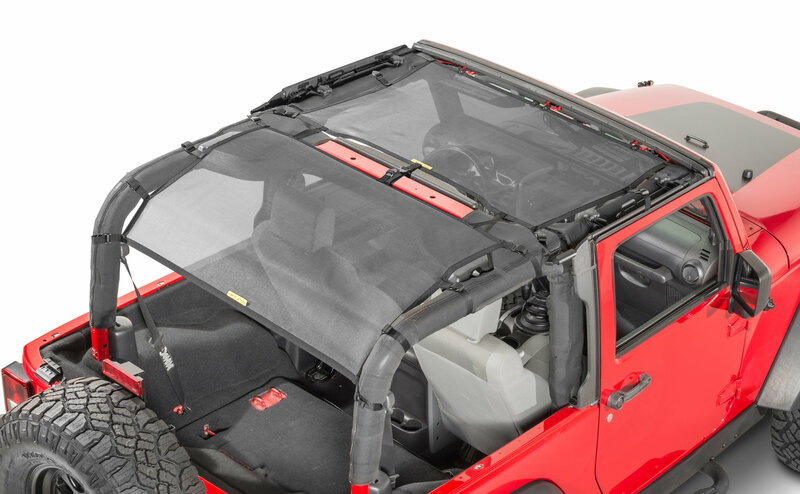 This will allow me to remove the read section when my kids aren't in the Jeep so the back will just be open. This is a great screen top. It is durable and easy to assemble/ put on. It fits underneath my hard top perfectly. 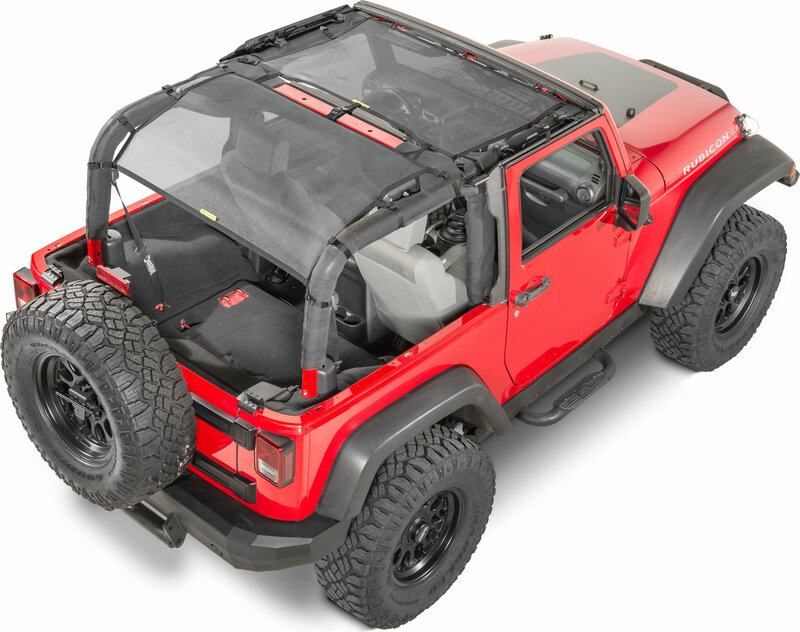 I got the red top to go with my black 2012 JK and have received numerous compliments. I would recommend this product to anyone.